Viking Cruises has released four memorable itineraries ranging from 38 to 87 days. These itineraries join to form the epic 245-day Viking Ultimate World Cruise, a roundtrip from London departing in August 2019. 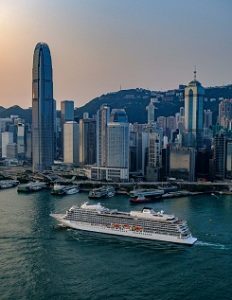 This will be the third world cruise onboard the Viking Sun.BRITISH ISLES TO EASTERN SEABOARD, a 41-day cruise sailing from London to New York, visiting 11 countries, 24 guided tours with four overnight stays. Uncover the fascinating history of the British Isles, sail through stunning Norwegian fjords to explore Iceland and Greenland before arriving in the cosmopolitan city of New York. Priced from $19,995pp in a Veranda Stateroom or $25,995 pp in aPenthouse Veranda stateroom, it sets sail on 31 August 2019.
countries, 38 guided tours and nine overnight stays. Explore the treasures of the West Indies before rounding Cape Horn to visit the southernmost town of Ushuaia. Cruise the west coast of South America, immersing yourself in the vibrant culture before arriving in Los Angeles. Priced from $38,995pp in a Veranda Stateroom or $47,995pp in a Penthouse Veranda, it sets sail on 10 October 2019. 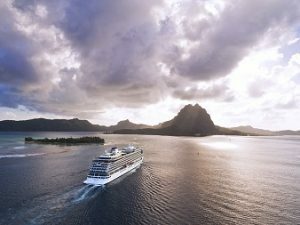 SOUTH PACIFIC AND THE LAND DOWN UNDER, a 38-day cruise from Los Angeles to Sydney, visiting seven countries with 15 guided tours and two overnight stays. Cruise the beautiful Pacific Ocean with visits to the alluring French Polynesian islands. Enthralling Māori culture will beckon you in New Zealand before crossing the Tasman Sea to Tasmania and finally, Sydney. Priced from $19,995pp in a Veranda Stateroom or $25,995pp in a Penthouse Veranda, it sets sail on 4 January 2020. AUSTRALIA, ASIA, EUROPE AND BEYOND, an 82-day journey from Sydney to London, visiting 21 countries, 39 guided tours with eight overnight stays. This captivating cruise follows the east coast of Australia before visiting China, Thailand and India. Experience the wonder of Egypt, the romance of Italy and Spain before arriving at your final destination, London. Priced from $38,995pp in a Veranda stateroom or $47,995pp in a Penthouse Veranda, it sets sail on 11 February 2020.